Latest research suggests that with more than a third of email users not seeing images, email marketing best practice guidelines are overlooked by marketers who rely on graphically rich email templates. Most email marketers still prioritise open rates when it comes to measuring the success of their campaigns. This means they spend much of their time optimising subject lines for higher open rates. While this can have a positive impact, they really should be focused on optimising their clickthrough rates (CTR), instead. The problem is that open rates can be a very misleading metric for a few reasons. Most importantly, an email is only counted as ‘opened’ if the recipient also receives the images embedded in that message. A large percentage of a brand’s email users likely have image-blocking enabled on their email client. This means that even if they open the email, they won’t be included in the reported open rate, making it an inaccurate and unreliable metric for marketers, as it underreports true numbers. This isn’t a new problem for the media and marketing industries. 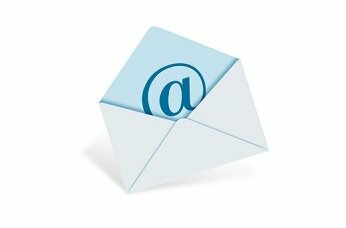 Email predates the web, and it has always been a restrictive media channel in terms of graphics design. The paradox is that while web technology and design has been advancing rapidly, in contrast email has been moving towards simpler standards that demand less sophisticated approaches for designers. Data analysis from Google indicates that image blocking affects 43% of emails, so this is a huge problem, due to a combination of corporate firewalls, outlook settings, and reading offline on mobiles. Back in 2014, Gmail stopped blocking images, but many email clients still do. 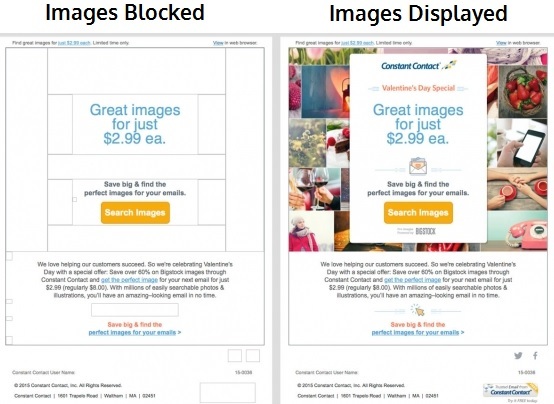 Clients that block images would see about a 26% increase in opens, while those that download images would see a 4% decrease. Naturally, visuals are a huge part of building any email marketing campaign, so it’s not a simple as just ditching the JPEGs and GIFs. But how can marketers avoid images from skewering their metrics? Only 5% of email users bother to change default settings from their provider, so marketers can’t rely on the recipient to be proactive. Marketers therefore need to ensure that core content works without images. One method around this could be to include ALT tags in your emails if you want to reach everyone, especially those with images turned off in their email clients. This way, you can signpost what’s inside an image so it’s clear why it’s worth downloading. Another important point is avoid putting key copy in images, as nearly half of your readers will not see it. View this video below explaining how ALT tags work. Another way around the image debacle is becoming a known sender. Nearly every email client enables people to automatically display images when a message is from a “known sender” (senders appearing in white lists, contact lists or address books). With a couple, simple notifications, you can increase our chances of success. First, ask a subscriber to add the email-list address to their address book (right on the subscribe form) and briefly explain why. Marketers can enable a double opt-in subscription process, and send a plain-text confirmation which includes a request to add the email-list address to a recipient’s address book. Like before, you should briefly explain why to the recipient.